Habitat Farm area, fruit garden, pasture, lawn field, roadside, vacancy, etc. Route Deliberate: As ornamental plant and for medical use. Impact Competition with native species and crops. Disturbance of cattle by unpleasant odor. Allelopathy. Parasite (insects, nematodes, fungi, viruses). Affected organism: Native grasses, crops, cattle, etc. 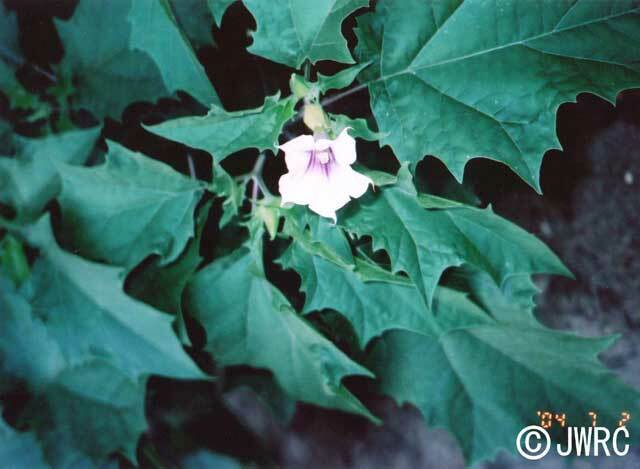 Regulation in Japan Import of Solanacea plants from countries or areas with Ceratitis capitata, Leptinotarsa decemlineata, Globodera rostochiensis, Globodera pallida, Synchytrium endobioticum, or Peronospora tabacina is prohibited by the Plant Protection Law.